← Happy 1st birthday Chhori!!! 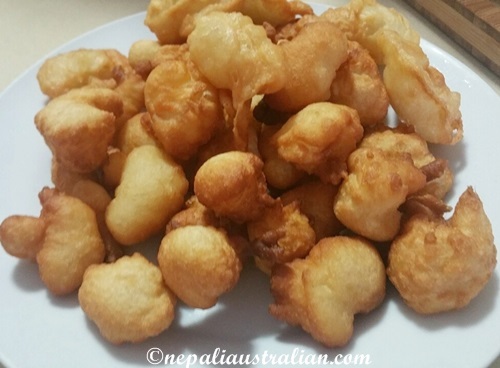 In Kathmandu most of us have happy memories of eating Gwaramari and tea for breakfast during cold winter months. 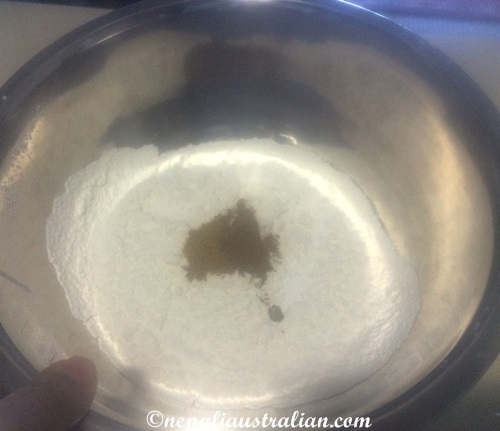 In Newari “Gwara” means round and “mari” means bread so Gwaramari literally means round bread but to people who have eaten it, it is not just ordinary bread but a very yummy one with a distinct flavour. I was craving for some Gwaramari for a while so I decided to try making it with a friend. It took us a few attempts to get it right but I am very happy with the end result. It tasted really good. In a large bowl, combine flour, baking powder, cumin, coriander and salt. 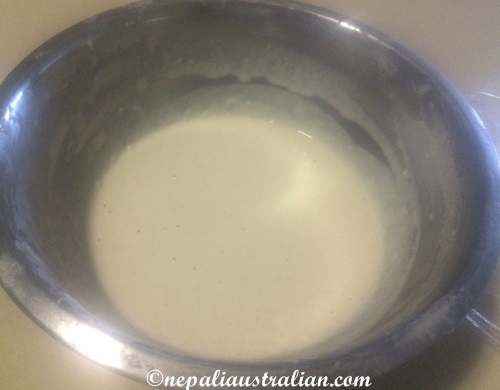 Add water slowly stirring continuously to make a thick paste. If you have time, cover with plastic wrap and place in the fridge overnight otherwise for at least 2 hours. In a deep pan, heat the vegetable oil. 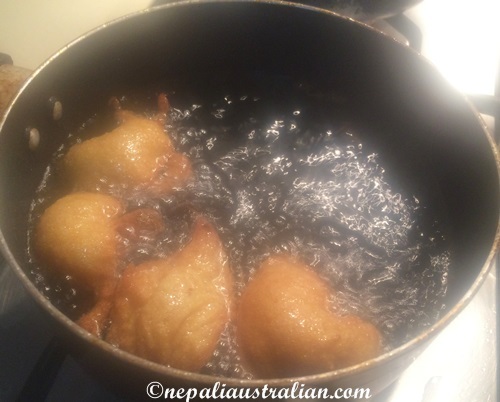 The oil is hot enough, if you drop small amount of batter and it quickly rises and becomes brown. Once the oil is hot enough, take a table spoon of mixture and place it gently on the hot oil. The dough will puff up and rise to the top of the pan. You can add multiple balls at the same time. Fry them until golden brown. Take it out and use paper towel to soak the extra oil. It is best served hot with some Masala tea. 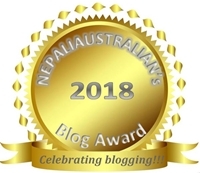 This entry was posted in Foodie, Nepali food, Newari Food, Recipe and tagged australian nepali, breafast bread, M from nepaliaustralian, Nepal, nepali food, newari bread, newari food. Bookmark the permalink.